Students identify physical properties of substances and then determine methods that can separate a mixture made of those substances. Methods include separation by properties including particle size, density, solubility, and magnetism. Directions for two levels of instruction are included. 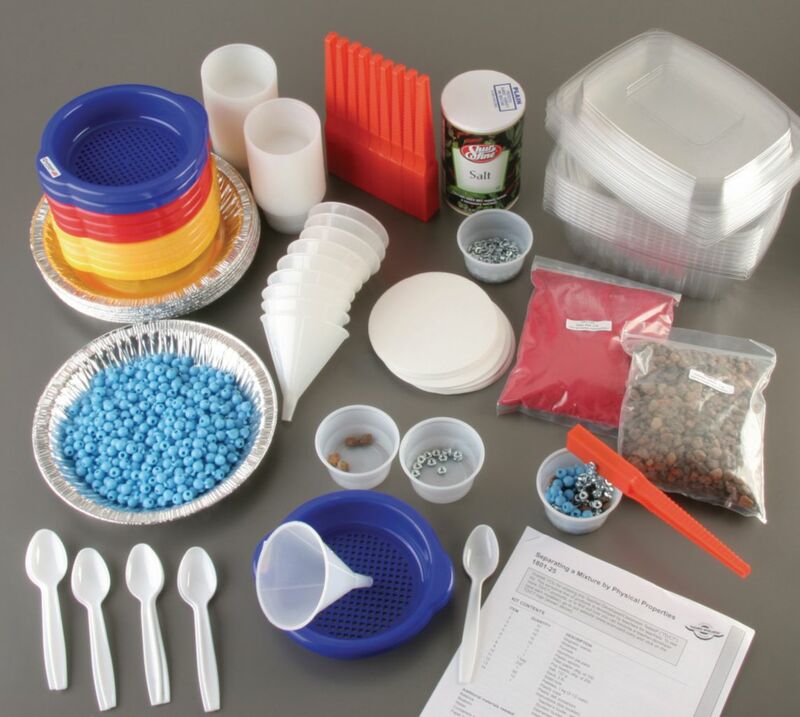 The elementary level activity stresses identification properties, use of tools, and using collected data appropriately in designing an experiment. The advanced level activity includes some mathematical analysis for understanding physical properties of matter. one 45-minute class period is required to complete the activity. Includes Instruction manual. A balance is required but not included. Required but Not Provided: Balance, Beakers, Water, Containers, Paper Towels.